Touch down at Los Angeles Airport and speed off in style with Sixt. Sixt's modern fleet of vehicles range from 4x4s to convertibles with the luxury brands that you have come to expect from Sixt at affordable prices. Take your pick from family-sized estates and economy models too that both match practicality with excellent value. This branch is located right on Airport Boulevard. Los Angeles International airport is one of the busiest airport in the world therefore to make to make the process of hiring a car as stress-free as possible and to ensure that your car rental is fully protected, Sixt offers its LDW, personal accident protection or supplemental liability insurance to provide peace of mind while enjoying your rental car in Los Angeles. Please note that while Sixt guarantees your chosen vehicle category, we are not able to ensure a specific model. 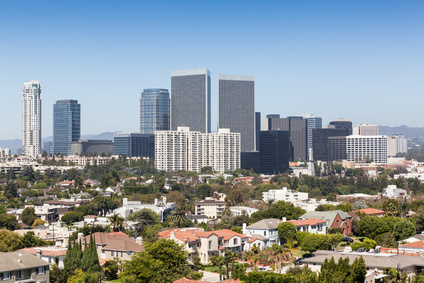 Driving is essential during you stay in LA due to the sheer size of the city and wide accommodating roads, so start your trip like one of the locals by driving from the airport to your first place of interest in LA. Of all the gorgeous beaches in LA, Venice beach is at the top of list and what's more it's just a short drive from LAX itself. Other attractions in this exciting city include the Hollywood Walk of Fame, shopping on Rodeo Drive and a drive down Hollywood Boulevard. A particular highlight is a visit to one of the largest urban parks in Northern America, Griffith Park. Feel like you're hiking in the mountains, with easily the best views of city, from this scenic vantage point. Having a Sixt rental car in tow also makes it easier than ever to explore the rest of California, starting with the celebrated California Vineyards. Don't feel restricted by the confines of public transport and enjoy a Sixt car rental from Los Angeles International Airport.